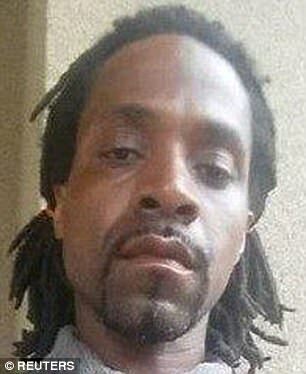 Police say a California man identified as Kori Ali Muhammad (born Kori McDonald) shot and killed three white victims in Fresno, California, for no other reason but for their skin color. Muhammad picked the white men at random in three different locations Tuesday in Fresno, California, and fired 16 shots into them. 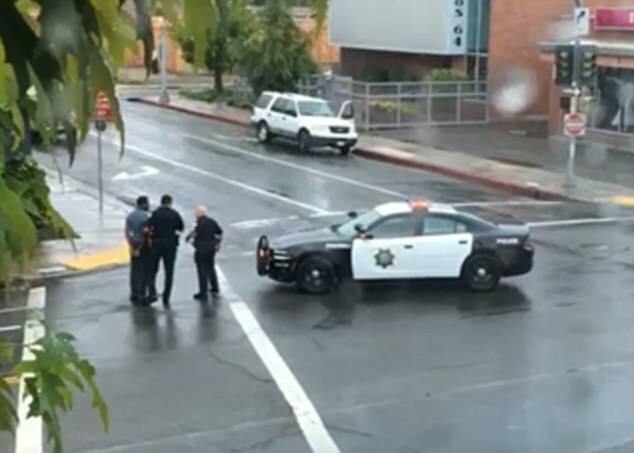 Around 10:45 a.m. local time, police officers with the Fresno Police Department responded to a scene after two gunshots were detected through ShotSpotter, a gunfire locator, according to Fresno Police Chief Jerry Dyer. Several more gunshots were detected nearby, Dyer said. A total of 16 rounds were fired in less than a minute in four different locations, Dyer said. The suspect then encountered another white resident in the same neighborhood, who he shot at several times but missed.. 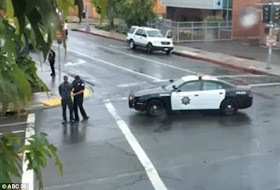 He continued down Fulton Street, shooting and killing a pedestrian there, then witnesses say he calmly reloaded at a nearby bus stop., before he set off to Catholic Charities on North Fulton Street in Fresno, where he encountered a man in the parking lot and killed him. Following the shooting, Fresno city spokesman Mark Standriff said county offices were placed on lockdown, and people were urged to shelter in place. One of the shooting victims was driven to police in a Pacific Gas and Electric Company truck. Police say Muhammad first approached a PG&E truck on the 300 block of North Van Ness street and shot the passenger inside repeatedly. The driver of the truck took the injured rider directly to the police station at M Street and Mariposa mall - but the passenger was later pronounced dead. That shooting was "unprovoked," Dyer said. Authorities arrested the suspect, who they say was also wanted for an alleged murder of a security guard at Motel 6 last Thursday. 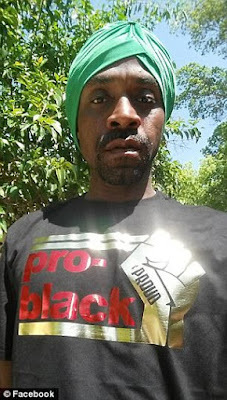 Williams, 25, was unarmed and was killed after allegedly getting into an altercation with Muhammad. Officers responding to the scene saw a black man running, who got on the ground once he saw the officers, Dyer said. When California police arrested him, officers witnessed him yell "Allah Akbar," Dyer said Tuesday afternoon, adding that he has written anti-government sentiments on social media as well as posts saying that he does not like white people. Later in the day, at a press conference Tuesday night, Dyer said he did not believe the murders were related to terrorism, adding that the shootings were "solely based on race," therefore deeming it a hate crime. 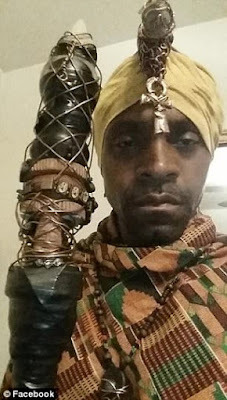 Muhammad's grandmother, Glenestene Taylor, said that he'd been acting strangely when he visited her on Sunday, and that he was crying but that she said she didn't get the impression that her grandson held hatred towards any race. The spree shooter has a length criminal record, including a dismissed felony charge of unlawful firearm possession in 2004. 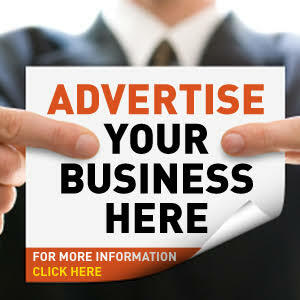 He was deemed mentally unfit to stand trial in 2005 after a grand jury indicted him on cocaine and firearm possession. A federal judge later declared him mentally fit in 2006 and he subsequently served 92 months in prison. 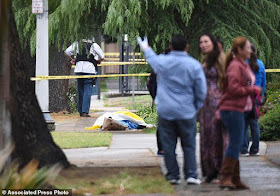 His father, Vincent Taylor, told the LA Times on Tuesday that his son believed there was a race was going on in America that he was in the midst of, and 'a battle was about to take place'.